The KZ Sportsmen Sportster 343TH11 is a 34ft bath and a half fifth wheel toy hauler with an 11ft cargo area. 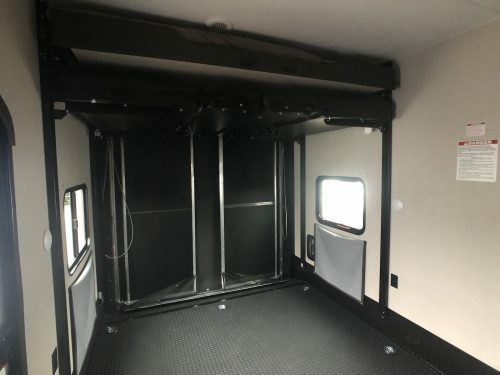 The 343TH11 is a wide body toy hauler with an 88×91 Ramp door opening. When you enter the 343TH11 fifth wheel, you enter into the main living and kitchen area with opposing slide outs. 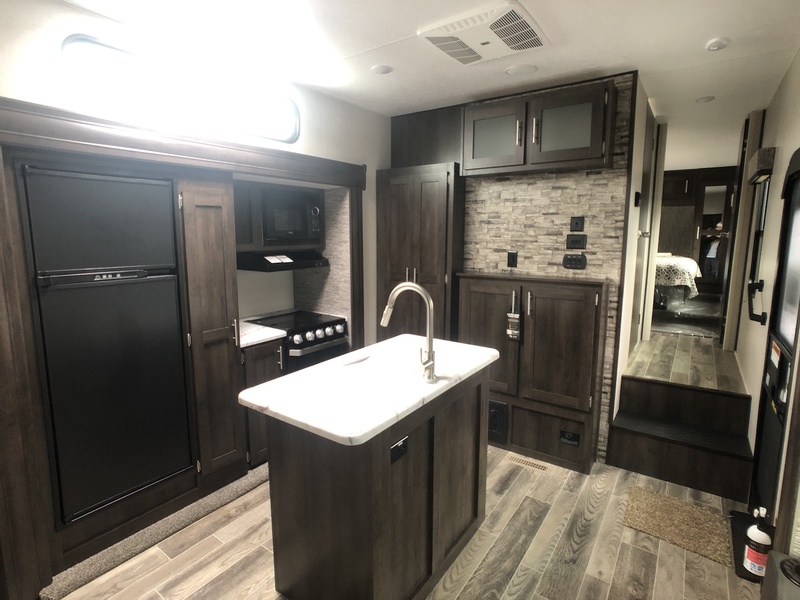 In the kitchen, there is a small slide out with the dual function RV refrigerator, three burner cooktop and an island sink. 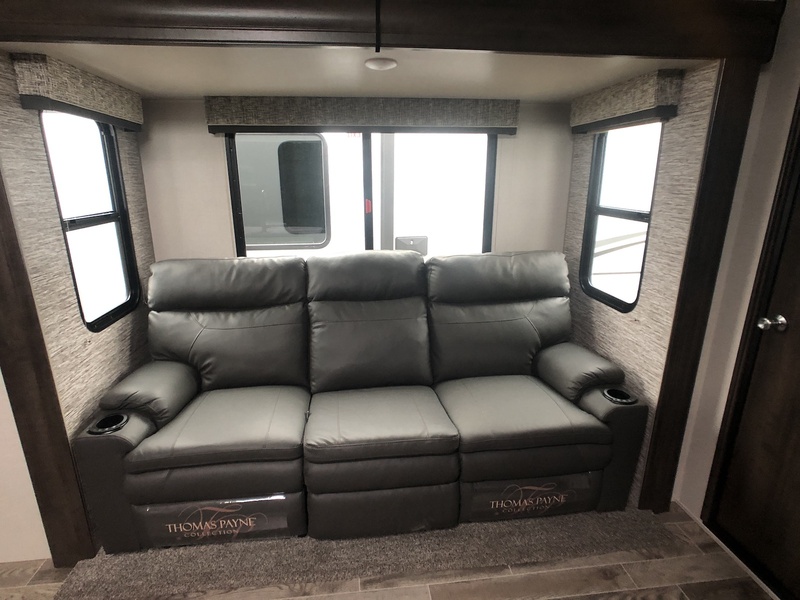 Opposite to the kitchen sits the 80″ theater seating across from the entertainment center. In the back of the KZ Sportster fifth wheel is the 11ft cargo area with a sit and sleep power bed system, screen door and a 1/2 bathroom & access door to the outside. 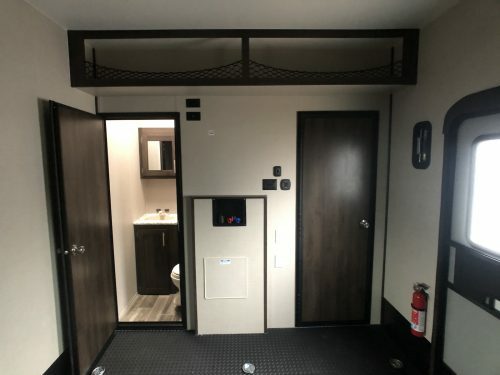 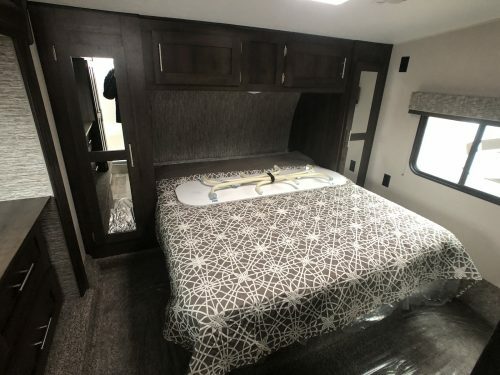 In the front of the 343TH11 is the master bedroom with a wardrobe slide out, queen bed and access to the full bathroom. 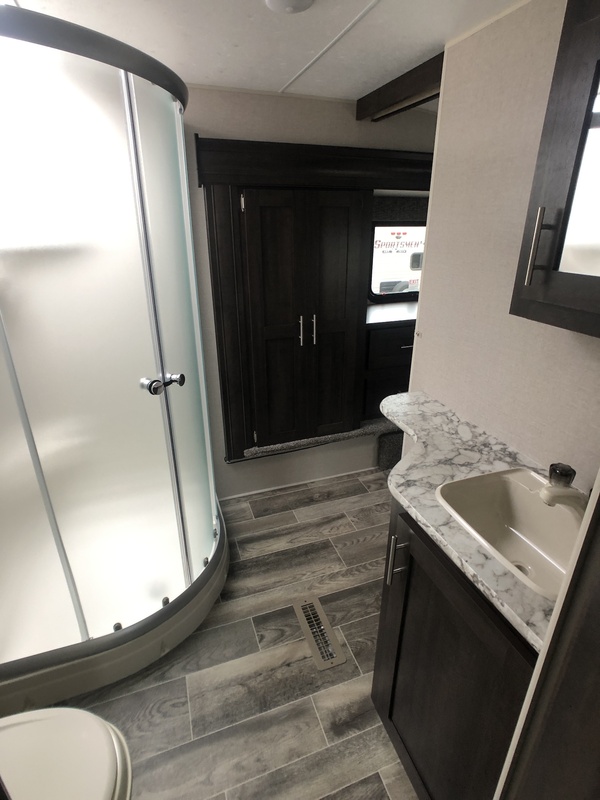 The Bathroom has a glass corner shower, foot flush toilet and plenty of getting ready space. 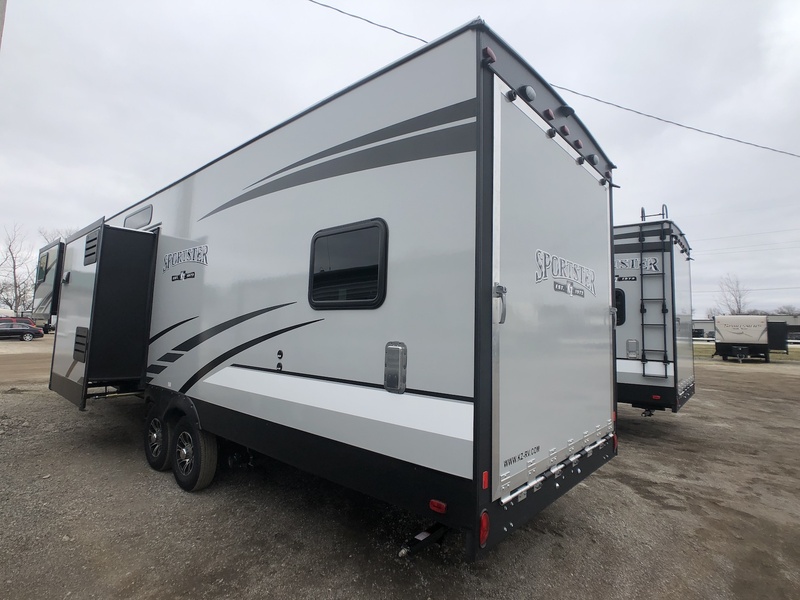 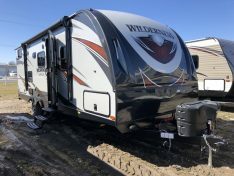 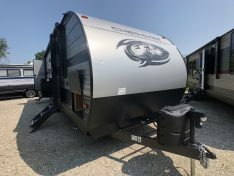 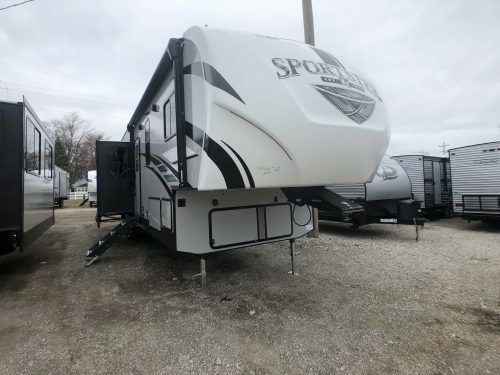 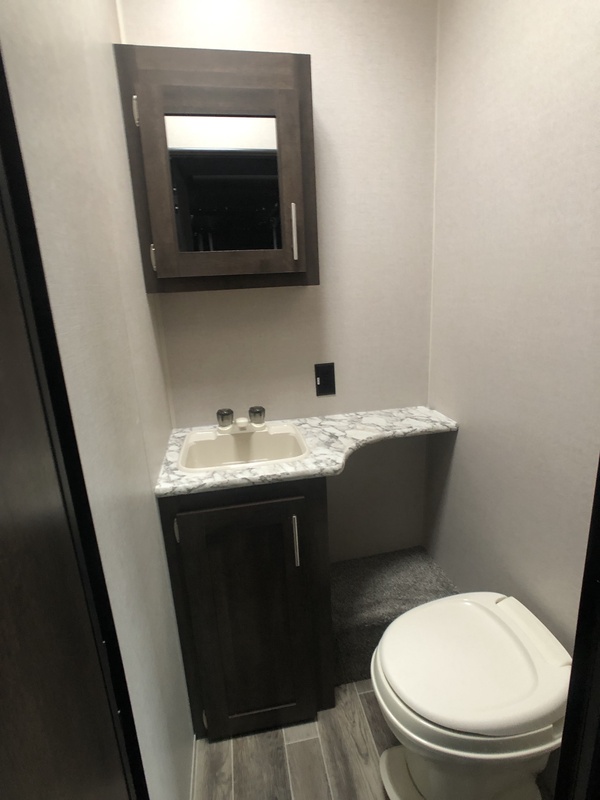 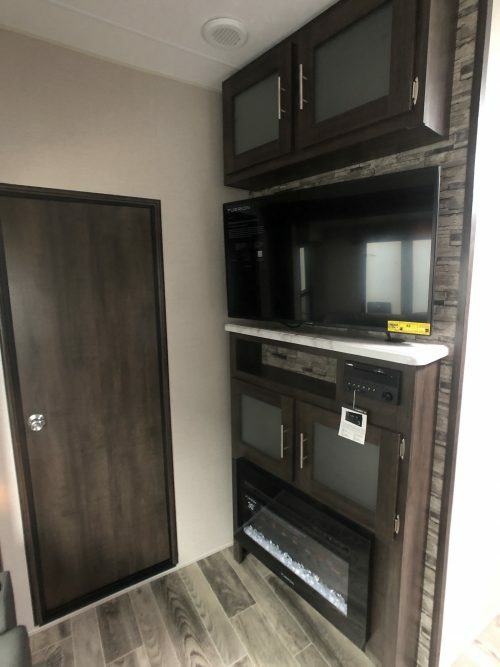 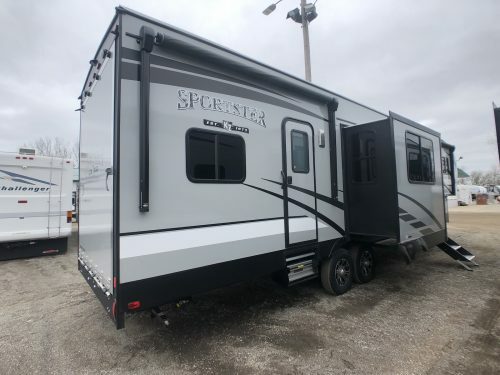 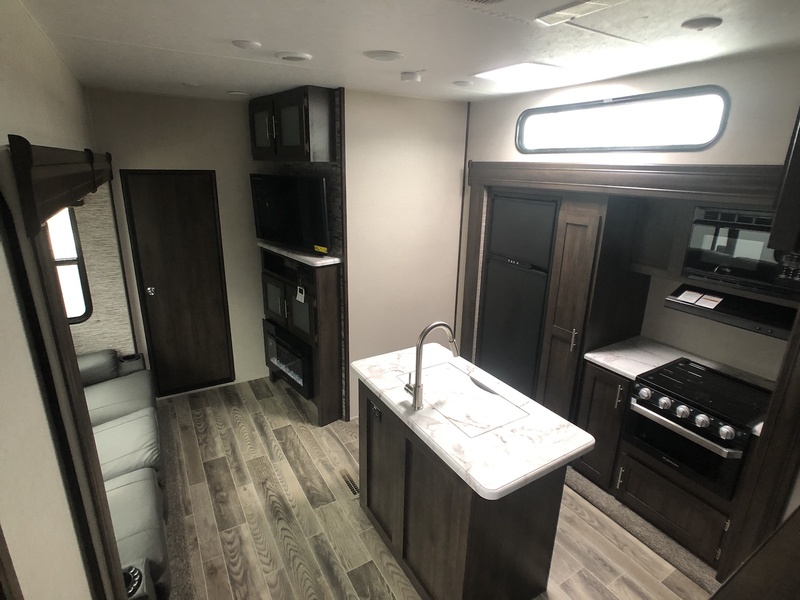 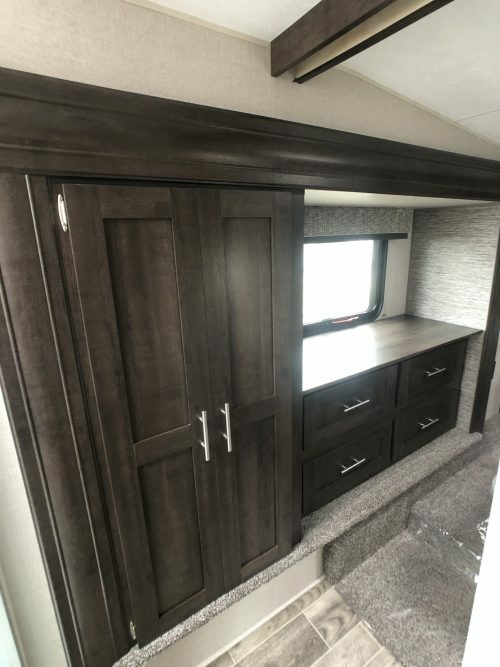 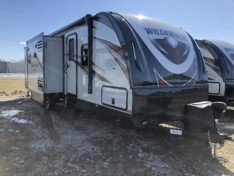 On the outside of this fifth wheel toy hauler, it comes equipped with a power awing and optioned for a second power awning, outside speakers and much more!